A Palram greenhouse may be your best investment if you’re looking for a compact and reliable unit to accommodate your plants in the colder season. Made up of high-quality materials and designed to withstand harsh weather, these greenhouses come in many sizes and styles. But how is Palram different than the competition? We’ve done the research for you and have the answers. We’ve also put up a list of Palram’s best greenhouses on the market. If you’re wondering which is the best, click on the links below and check out our top picks. With dozens of greenhouses for outdoor growing available on the market, why invest in a Parlam greenhouse? There are many reasons, but we like this brand’s versatility. Parlam proposes easy-to-assemble and technically portable greenhouses that are sturdy and made to withstand harsh weather and elements. Coming in multiple sizes, they fit in small backyards or on large properties, depending on your needs. When compared with portable greenhouses, Palram is beautiful. Their sleek design doesn’t have a negative impact on your property’s curb appeal, on the contrary. Looking as small sheds or glass houses, these products enhance your garden with their looks. Almost all Palram greenhouses have a tiered design, and that’s another aspect we like. Allowing you to propagate and grow your plants on a vertical configuration minimizes footprint, and this is often important if you don’t have a huge outdoor space. But what we ultimately like is Palram’s functionality. These greenhouses are created for both gardeners and plants. They boast a walk-in design, come with functional air vents and with sturdy panels that help regulate the temperature. Important things when you’re struggling to make your crops thrive out of the season. To sum it up, here are three reasons why you should invest in a Palram greenhouse. Palram greenhouses are made of heavy-duty materials engineered to withstand outdoor use and exposure to extreme weather conditions. Aluminum or steel frames attach to the ground with bolts, and the structure is easy to reinforce with pegs and guy ropes if needed. Polycarbonate panels slide on the frame allowing for an easy assembly. The material is virtually indestructible and it filtrates light helping your plants to thrive. The sturdy, durable structure is extremely stable in harsh weather. Palram greenhouses are designed to withstand strong winds and other elements; the greenhouse can be left outdoors during winter and it requires little maintenance. The only consideration, make sure any snow is removed from the roof or its weight might compromise the resistance of the frame. 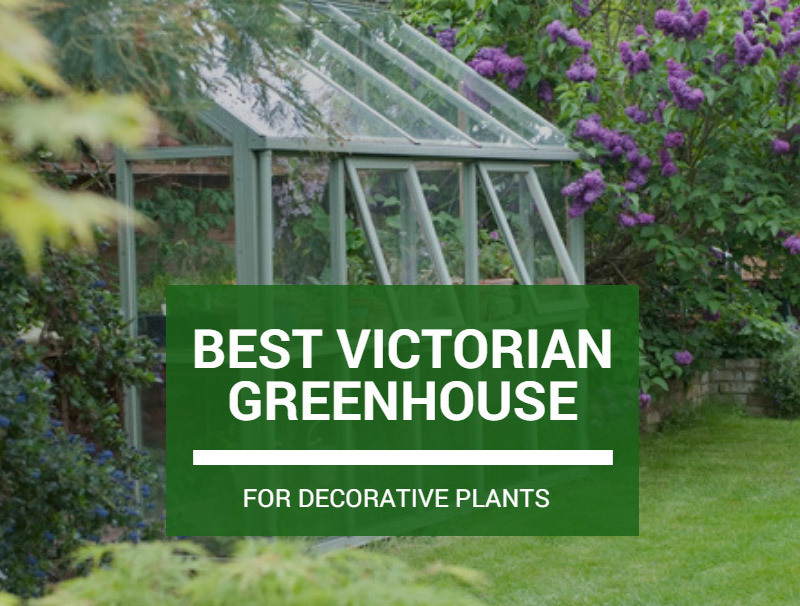 Designed with gardeners and plants in mind, Palram greenhouses come with integrated vents and some models allow the installation of climate control units. Walk-in design keeps you protected from elements while tending for the plants, and side or roof windows allow for a better climate control. The door is usually easy to close securely and prevent pets or wildlife from damaging your crops. Palram greenhouses come in various sizes which adapt to all gardening needs. When choosing the size, it’s important to measure your lot and make sure the greenhouse fits. But that’s not it! You should also consider why you need the greenhouse for. If you’re just looking for a solution to keep your perennials protected from cold winter weather, a smaller greenhouse could be sufficient. If you want to propagate seedlings or grow crops out of the season, then you might want to invest in a bigger greenhouse. At a first glance, all Palram greenhouses have a similar design. But it’s not the aesthetics we’re talking about. Palram manufactures two types of greenhouses, with clear polycarbonate panels or twin-wall polycarbonate panels. The former let most light to pass through and is ideal for decorative flowers or crops that thrive in direct sunshine. Twin-wall panels usually filtrate and diffuse sunlight, eliminating the risk of plant burns. Twin-wall greenhouses are ideal to use in warm climate areas, while the clear-wall greenhouses are more suitable to use in colder climates. Palram sells its greenhouses with or without shelving. Since this model of greenhouse is versatile because it provides a vertical growing space, we strongly suggest investing in a unit with shelves. However, if you’re not sure you need them, a unit without add-ons provides a more budget-friendly alternative. Palram Hybrid is a versatile and convenient greenhouse ideal for the hobbyist gardeners. Coming with virtually unbreakable 4mm twin-wall polycarbonate roof panels, the greenhouse is designed to block up harmful UV rays and diffuse sunlight. Crystal clear side panels are also made of polycarbonate but provide a 90% light transmission. Your plants will thrive in such a well-lit yet protected environment. Stability is ensured by a robust rust-resistant aluminum frame which is 6-foot wide and 8-foot long. The spacious interior comprises 48 square feet of growing space and the walk-in design keeps you protected from elements. The greenhouse is easy to erect and once the frame is assembled, the polycarbonate panels just fit in their slots. This semi-permanent structure needn’t be dismantled during winter as long as snow doesn’t accumulate on the roof, and an adjustable roof vent provides sufficient ventilation or allow for a better temperature control. Structure: the greenhouse is easy to assemble and it integrates a roof vent, a lockable door with magnetic catch, rain gutters, and a galvanized base for structural support. Plant hangers: this greenhouse comes with 10 convenient plant hangers used to support vine crops or hanging baskets. Polycarbonate panels: roof panels ensure a proper sunlight diffusion to prevent plant burn and shade areas, while clear side panels allow sufficient light to pass through. Warranty: the product is backed up by a 5-year limited warranty and locally-based customer support is always ready to assist and resolve issues. Some pre-drilled holes might not align perfectly with assemblage. Sturdy and big, Palram Glory is a heavy-duty greenhouse designed with the gardening enthusiasts in mind. the comes with 10mm thick twin-wall roof and side panels, while a robust powder-coated aluminum frame provides durability in all weathers. Providing 127 square feet of growing space and an 8.8 feet headroom, the greenhouse can accommodate the needs of most gardeners. The polycarbonate panels provide an optimal light filtration that helps all plants thrive while blocking harmful UV rays. The heavy-duty door is 31.7 inches wide and is lockable, keeping pets and wildlife out of your growing space. Three roof vents with automatic openers provide sufficient ventilation in all seasons and help regulate the temperature. Fairly easy to erect, the greenhouse boasts a galvanized steel base and a sturdy ground anchoring system. Plant hangers and a series of other accessories are also included in the pack. Side and roof panels: heavy-duty 10mm polycarbonate side and roof panels provide a superior temperature control and a better light filtration. Room: the greenhouse is roomy, boasting 127 square feet of growing space. It can accommodate flower beds, trellises, shelves, and other furnishings. Door: the heavy-duty door is 31.7 inches wide, allowing you to use the greenhouse as a shelter for gardening power tools. Frame: a sturdy frame made of robust powder-coated aluminum provides durability and withstands elements. Designed for professional use, this greenhouse is expensive. Nature Harmony is another greenhouse dedicated to the hobbyists. Featuring a growing space of 48 square feet, the unit comes with clear polycarbonate panels that simply slide into position. Combined with an easy-to-install frame, the product is ideal for beginners. The green frame is made of powder-coated aluminum which is rust resistant and durable. An adjustable vent window provides sufficient ventilation, and there are numerous shelving options to consider for the interior. A rust-resistant galvanized steel base adds structural support and alignment, and the unit is easy to secure to the ground with compatible hardware. What we like best about this greenhouse is the sleek and smooth design that complements the functionality and sturdiness of the product. Able to raise the curb appeal of the property, the greenhouse doubles as an elegant she-shed. Elegance: this greenhouse is stylish and can enhance the exterior design of all properties. Crystal-clear panels and a green frame deliver a ravishing look. Functionality: beautiful and functional, this product measures 6x8ft and provides a growing space of 48 square feet. Assembly: the polycarbonate panels are easy to fix in place thanks to the slide-and-lock design. They match perfectly with the hunter green frame. Air vent: a roof vent ensures proper ventilation, while crystal clear panels allow sufficient light to pass through. Without further reinforcement, strong winds might blow this greenhouse off. A 68sq feet growing area, a large double door, and crystal clear polycarbonate panels are the signature features of Palram Snap & Grow Greenhouse. With a footprint of 8x8ft, the product stands 9ft tall and accommodates both plants and the gardener. Designed with DIY convenience in mind, erecting this structure is a breeze. The unit boasts SmartLock connectors which allow snapping the frame into place without the need of special tools. The clear polycarbonate panels slide seamlessly into their channels for a hassle-free assemblage. The wide double door allows an easy access to the plants, but they are also convenient should you wish to install shelving systems around the walls. An air vent ensures a proper ventilation and the polycarbonate is engineered to provide 100% UV protection and over 90% light transmission. Like all Palram products, the unit comes with a 5-year manufacturer’s warranty. Local customer support is very helpful in addressing issues. Growing space: Snap & Grow offers a generous growing space of 68sq feet. Designed for hobbyists, it’s also a great alternative for those with a small outdoor space. SmartLock installation: erecting the greenhouse is a breeze thanks to the SmartLock technology. The frame snaps in place and the panels slide easily in their channels. Doors: two wide doors provide easy access and allow you to repurpose the use of this product. Fitting garden furniture or power tools in the greenhouse is easy. Choice: the unit comes in various sizes and it’s easy to find the right fit for your space. Although designed for DIY installation, erecting the structure is a two men’s job. Mythos is part of the Nature Series, a line of greenhouses and accessories designed to the hobbyist gardeners. Providing a 36sq feet growing space, the structure is ideal for beginners, or for those who only have a small backyard. Virtually unbreakable and designed to withstand elements, Mythos comes with 4mm thick twin-wall polycarbonate panels that diffuse sunlight and block up to 99% of harmful UV rays. The rust-resistant aluminum frame ensured durability, and the unit is easy to erect. The frame is made of rust-resistant aluminum, while a galvanized steel base reinforces the structure increasing stability. Accessories include a manual roof vent which is easy to adjust, a lockable magnetic door, and rain gutters. No shelves or plant hangers are included in the box, but kits are available separately. Nevertheless, the greenhouse comes at an excellent price. Budget-friendly: this economical semi-permanent greenhouse integrates quality materials and is made to last. Rust-resistant frame: the frame is made of rust-resistant aluminum, while a galvanized steel base provides structural support. Slide in panels: once the frame is erected, the side and roof panels are designed to slide in into their slots for a hassle-free assembly. Convenience: an adjustable roof bent, a lockable door with magnetic catch and rain gutters add convenience to this product. The unit doesn’t come with any interior accessories such as shelves or plant hangers. The choice of a Palram greenhouse is undoubtedly based on personal circumstances. 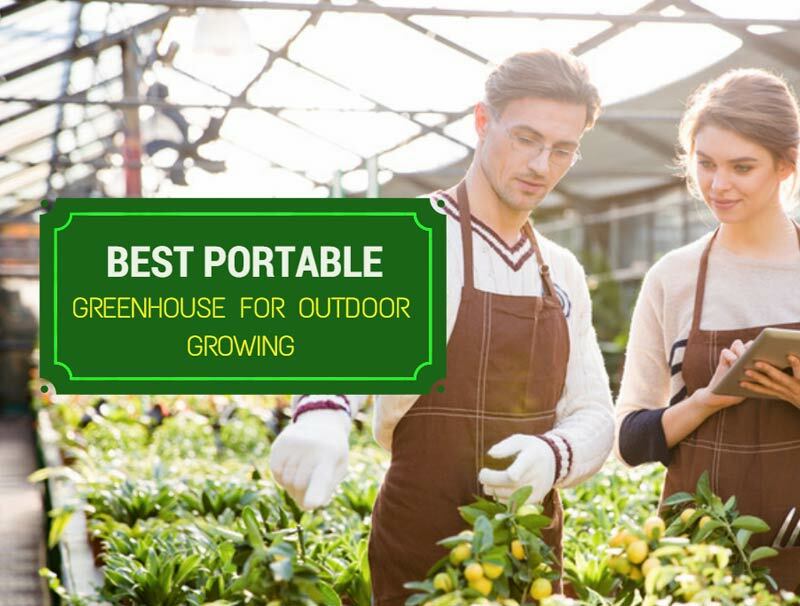 But considering durability, versatility, and growing space, we can say that the best greenhouse in this list is Palram Glory. Certainly, the greenhouse has a prohibitive price, but quality will surely save you money in the long run. The product boasts a heavy-duty structure made of a sturdy aluminum frame, a galvanized steel base and 10mm thick twin-wall roof and side panels. Powder-coated aluminum resists rusts and elements, while ground reinforcement hardware adds up to robustness and durability. This unit provides 127 square feet of growing space and comes with automatic roof vents and a side vent for a better ventilation and temperature control. Optimal light filtration ensured by the polycarbonate walls help the plants thrive. Last but not least, a heavy-duty 31.7-inch wide door allows easy access. Lockable, the door also keeps pests away from your crops. Undoubtedly, an excellent Palram greenhouse to consider.